You know, I think I’ll try these… I love mello cremes anyway so it’d totally be worth it. Yum to both, the candy and the real veggies! This is totally adorable. I would love to have this sitting on a shelf just to admire it! 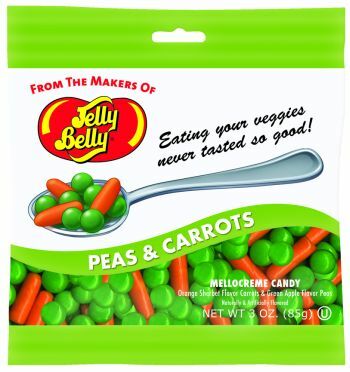 I welcome any further efforts by Jelly Belly in the field of candies that look like other foods. 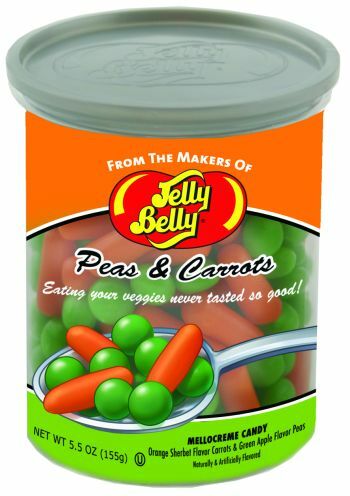 Can we please have a version of the Pea and Carrots that includes the wee corn niblets? Maybe a pineapple or banana flavour? what if the candy was also vitamin infused. not so much that it would be considered a supplement but so that they would actually get something out of it. i love the Idea and can’t wait to try it.